I listened in horror as the caller to the popular day-time radio talk show described his passenger’s attitude towards litter. “He finished eating his KFC in my taxi and then just threw the bag, cup and box with bones out the window of the moving vehicle. I told him that he shouldn’t have done that, that he could have just left it in the car, that I would have disposed of it when next I stopped. He got vexed with me. 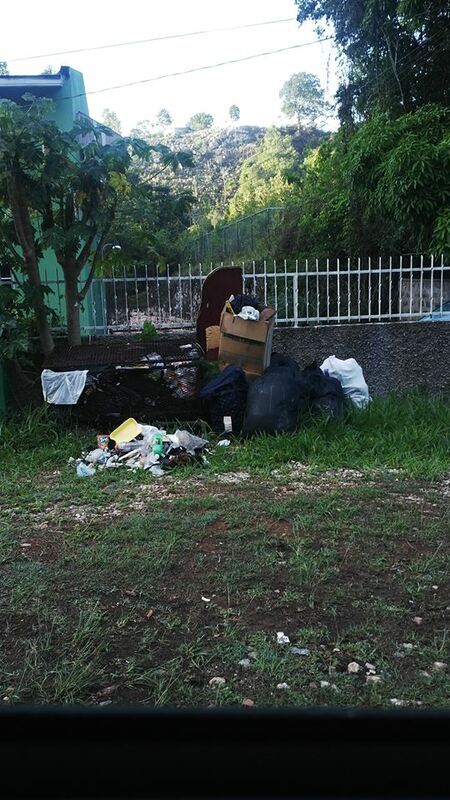 Asked me wha mi think garbage truck and garbage man di deh fah…” The same taxi man told the talk show host that he ferries visitors to the island around Montego Bay and he is repeatedly asked about the amount of visible garbage in the second city. The visitors are appalled, quizzical and disdainful all at the same time. “Is there some sort of problem?” they ask in wonderment. We have a garbage problem. 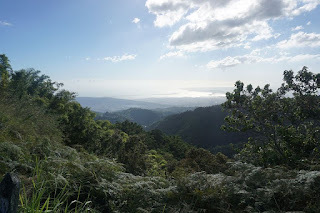 My family and I have perfected the art of the road-trip and we can, at a moment’s notice, head north, south, east or west in Jamaica, and we do. Often. We do not have to go three feet off the beaten track to be confronted with garbage: plastic bags, bottles and containers. Have you seen Downtown Kingston after a shower of rain? Remember the flooding due to clogged drains in Montego Bay a few weeks ago after thirty minutes of rain? 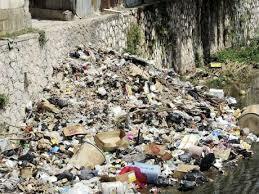 Just look down into every single gully in Kingston that you drive past and over: garbage and more garbage. No TVJ nightly newscast is complete without the obligatory “raw sewage overflowing” story, the overflow the result of drains clogged with solid waste. In 1982, Wilson and Kelling posited the Broken Window theory in an attempt to link serious crime to seemingly less innocuous incidents of disorder like vandalism and littering. Even though their theory has its fair share of criticism as far as diagnosing and treating serious crime, at its simplest level, the theory in part explains why dirty communities remain this way. They observed: “…consider a pavement. Some litter accumulates. Soon, more litter accumulates. Eventually, people even start leaving bags of refuse from take-out restaurants…” Simply put, allowing the first hint of disorder to go unchecked is a welcome mat for more of the same. Garbage attracts garbage. And after a while it’s as if we don’t see it. The garbage around us has simply become part of the landscape, the proverbial dead body in the living room, which was appalling at first sight, but as the inhabitants started to manoeuvre around it and as they got used to the sight of it, the dead body became just another fixture in the room. The Jamaica Environmental Trust (JET) has bravely attempted to tackle Jamaica’s garbage problem with their “Nuh Dutty Up Jamaica” campaign. Some young talented animator did the eye catching visuals to the zippy tune that admonishes us accordingly. Nice. But meaningless in the face of the enormous problem we face. You see, the garbage that we co-exist with, is not simply the result of that passenger in the taxi flinging his waste through the car window. 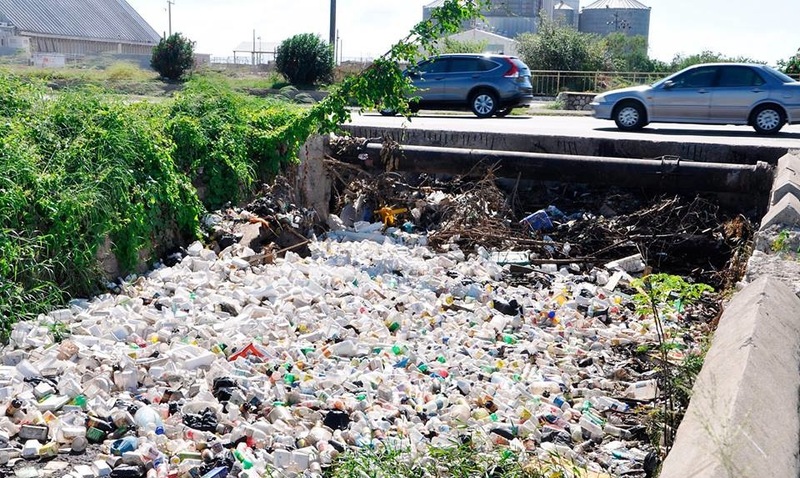 JET recently released the results of a study done to look at the garbage issues and the South Gully in Montego Bay. 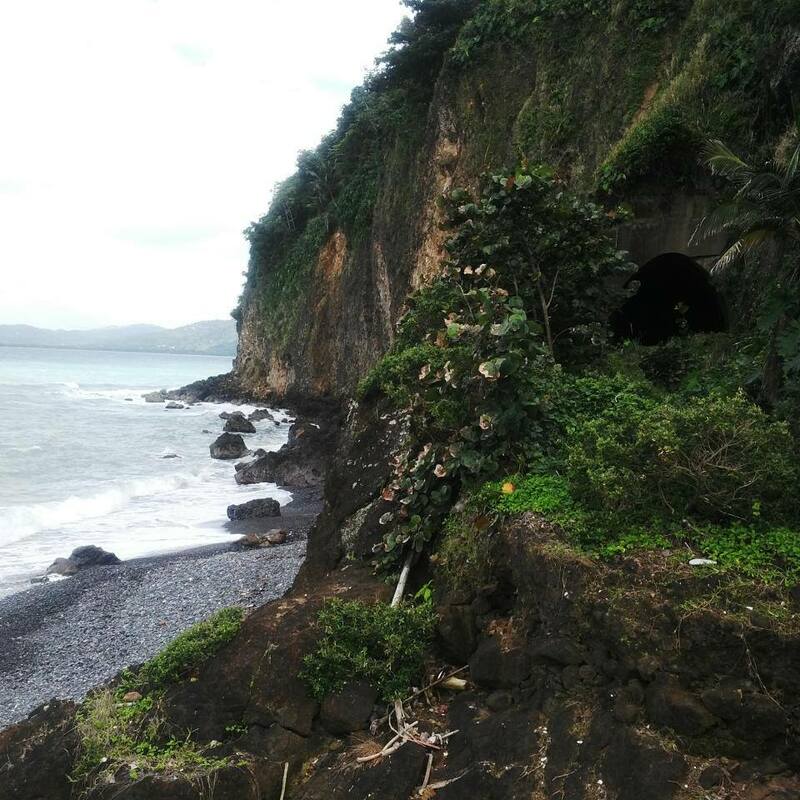 While the scope of the study was limited to the South Gully, the findings and recommendations have wider application for the island. 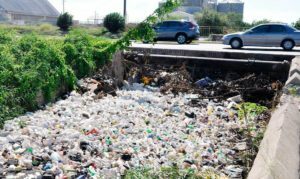 Garbage is habitually dumped in our gullies. No one readily admits to dumping, but the evidence is clear. In the face of erratic, unpredictable and in some cases non-existent garbage collection, what do you think will really happen? Informal settlements generate waste too. To include them on a garbage collection schedule may legitimise them, giving rise to a whole new set of problems. Many public skips where people could deposit their garbage in a central place for pickup have been removed. People used to burn their garbage there, destroying the skips, and infrequent collection saw the skips morphing into mini dumpsites, a haven for rodents and other pests. 1. Establishment of a regular cleaning schedule for gullies which is published in newspapers and online. 4. Roll out of a significant quantity of bins along established garbage collection routes. Skips might be appropriate in some places (at the entrance to informal settlements for example) but it should be recognized that they take much longer to clear. Lightweight, plastic bins, with holes punched in the sides and bottom to discourage theft, are most effective in urban areas where frequent garbage collection takes place. Private sector support should be sought to finance the bins. 5. Enforcement of anti-dumping laws should be dramatically ramped up island wide. This enforcement should be accompanied by appropriate publicity, including messaging targeted at business operators promoting good solid waste management practices. 6. Revision of the NSWMA act to include specific regulations for solid waste management by commercial and industrial operations; increase fines and impose harsher penalties for non-compliance. Revisions should be accompanied by increased enforcement effort. But will that do it? I’ve itemized the recommendations above with a heavy heart. There is a perspective that leadership in Jamaica has lost the art of implementation and has become preoccupied with speeches and box-ticking. It further posits that those in positions of influence and power have managed to insulate themselves from certain Jamaican realities and therefore expend nothing on fixing those ills besetting others; think private schools, private education, private security, gated communities, vehicles that shuttle them from A to B, high off the ground in air-conditioned insularity. They vacation in exclusive locations, out of the line of sight of road side dump sites, and in all-inclusive, created experiences, totally separate from the speak-easy that exists beside a pile of garbage uncollected in two weeks. Out of sight, most definitely out of mind. And so priorities are set based on a particular skewed perspective and outlook by the powerful and wealthy. And those who see and know and feel The Other Side of Things, in their quest for the Great House quickly adopt the priorities of those who are where they want to be, eschewing the urgent and real needs of our present context. So is grass roots activism and action the answer to get things moving? Perhaps this is one of the first steps towards making our present system of governance redundant and shifting the current paradigm towards one that is more proactive and relevant to us. 1. Education campaigns about improper garbage disposal. Get a local company to sponsor a poster competition in the community schools. Tell them to include actual pictures of what is wrong in their community. 2. Again get a local company to sponsor the printing of dozens of the winning poster and then commission local groups like the 4H Club, Scouts, church youth group to strategically, and with permission place these posters in central areas. 3. Set a small goal of creating a garbage free zone in a public area enjoyed by locals and visitors alike. Make noise about it. Use social media to spread the news of this success story. Replicate this in another area. 4. 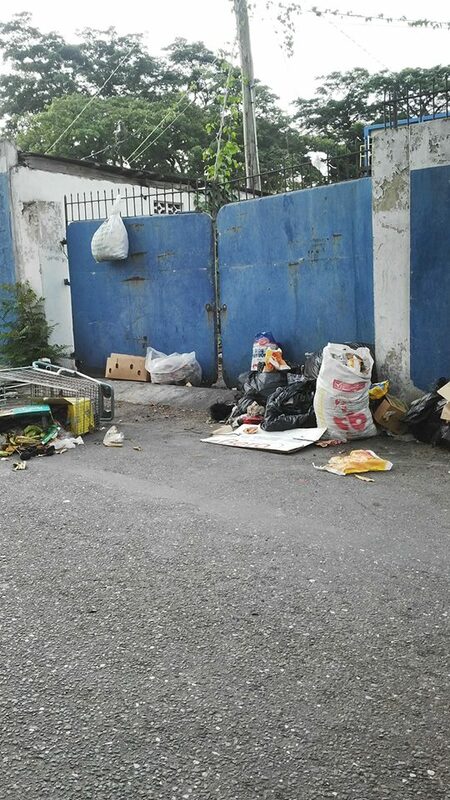 Get the Councillor and MP on board: THEY have to pressure NSWMA to cart the garbage away regularly and reliably. KEEP UP THE PRESSURE! Use social media to shame and congratulate. Because make no mistake, there are those who make every effort to bag and discard their garbage properly, but their best efforts are thwarted by the non-collection of their garbage! There’s no reliable schedule of collection and public skips seem to be a thing of the past. 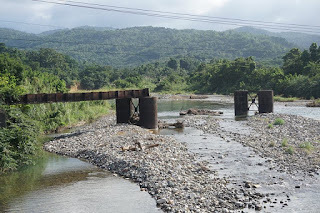 I fear though that the general recommendations extrapolated from JET’s South Gully Research Project and my own offerings about a revolution at the local level are an insufficient response to the enormity of the garbage problem we face. We have already established that solutions exist. It is not as if we do not know what to do. So what next then? All the literature on change management in organisations underscore the importance of sponsorship from the executive level when major change is required. The more radical and far reaching the change, the more critical it is for all stakeholders to know that it is supported by The Leader. This makes it safe for them to step out of their comfort zone. This offers some sort of guarantee that the needed resources will be allocated appropriately in support of the desired change. In the 1960’s, Lee Kwan Yew, then president of Singapore, determined to distinguish Singapore from other Third world countries, decided that he would make it clean and green. He easily saw the link between a clean country, a desirable business and tourism destination and the morale of the citizens. Admittedly, the attitudes of the people proved the hardest to tackle. He prioritized law enforcement with respect to littering and greening of the city. New standards for farming and operating within the city were enacted. In his own words, Lee Kwan Yew stated that “perseverance and stamina were needed to fight old habits.” But he did it. Today, Singapore and its people reap the rewards of vision and stellar leadership in this regard. Improperly disposed of garbage leads to breeding sites for mosquitoes and rats. Clogged drainage causes millions of dollars in damage resulting from flooding whenever it rains. The government of Jamaica is currently spending millions of dollars treating and monitoring pregnant women testing positive for ZikV and treating patients diagnosed with Guillaine-Barre Syndrome associated with ZikV infections. Lost productivity due to ChickV outbreak last year was likely in the millions of dollars. As the country gets dirtier and dirtier, visitors will opt for cleaner, safer more beautiful destinations. How will we counter the inevitable bad press that will result from filthy, unkempt, unsafe and unsanitary tourist destinations? 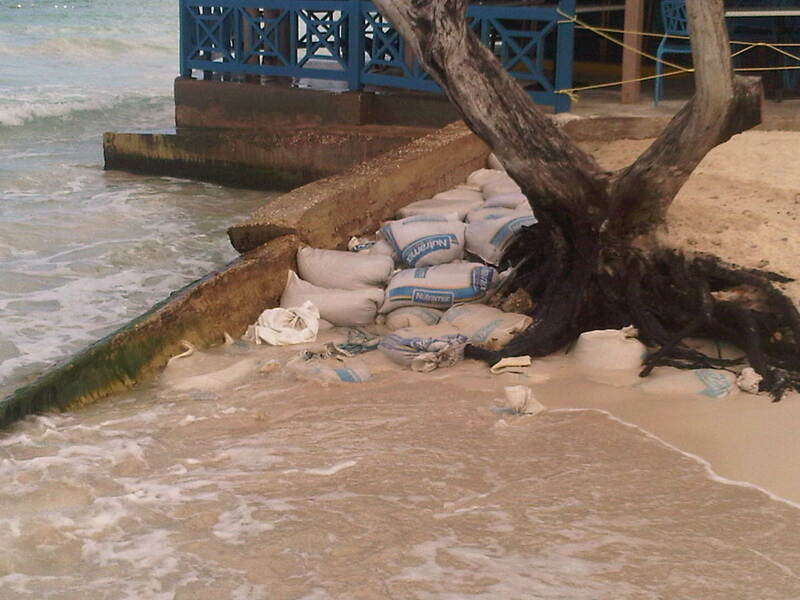 Spend more money on PR, I suppose and huge sums on mass gully scrapings to take shame out of our eyes. The bottom line: we cannot afford NOT to allocate resources to implement the recommendations suggested. This will only happen with a clear mandate from the Prime Minister and his tangible, visible support. 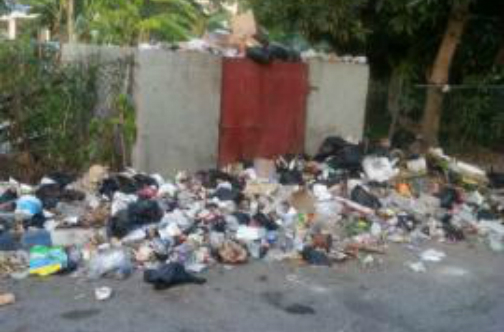 Take on this challenge of making Jamaica clean, Mr. Holness. Make a clean Jamaica your lasting legacy. Dear PM: I know that your overarching mandate is economic growth…a worthy ideal to be sure. Law and order cannot flourish in garbage. And without law and order, what happens to any and all economic growth initiatives? I put it to you that your direct leadership in tackling our garbage problem is absolutely critical at this point in our development… perhaps more critical than anything you are spearheading right now. 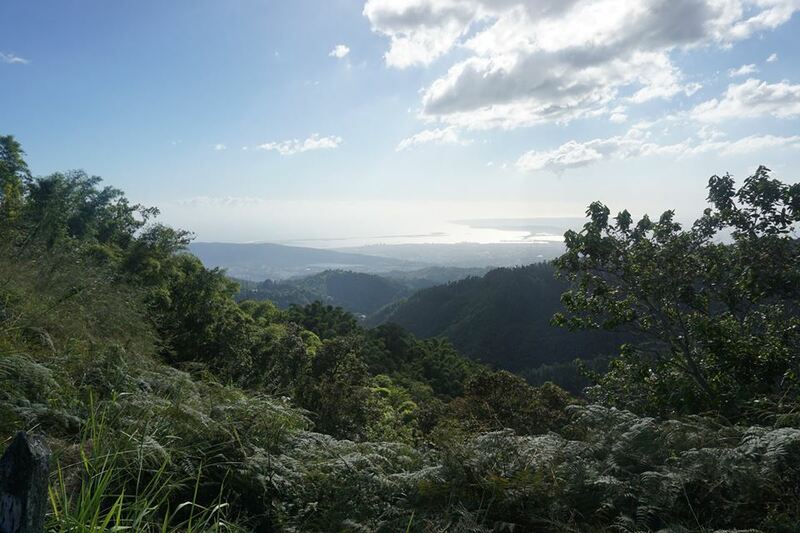 Getting to a cleaner Jamaica is low hanging fruit that we can ill afford not to pick. Garbage washed ashore along the Palisadoes strip. Photo courtesy the Gleaner. Dear Jamaica: We have a garbage problem. I’m heartsick. I’ve been putting off this particular post for two years now, but no more. So here goes. Dear Jamaica: We have a garbage problem. We are nasty. We’ve perfected the art of the road trip. We can now turn on a dime and head north, south, east or west. Easy: keep vehicles properly maintained, stop at the grocery the night before or on the way out, procure water, juices, rum and chasers, nuts, cheesy snacks, granola bars, keep the igloo clean at all times, keep one bag clean and packed with cups and ground sheet at all times, and at the word go, load up and head out. 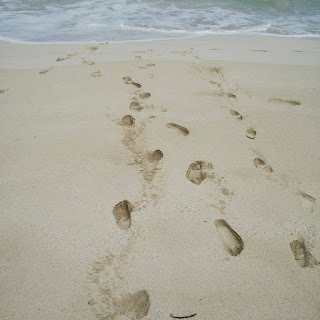 And so we explore our island at any and every chance we get. 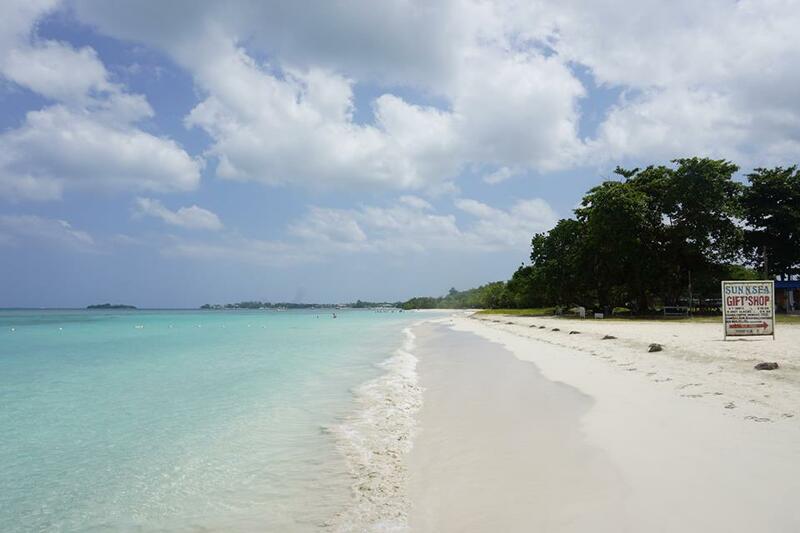 Portland’s beaches and hills, St. Ann’s beaches, Trelawny’s beaches, rivers and beautiful vistas in its center, Negril’s beach, St. Elizabeth’s rolling landscapes and St. Andrew’s rivers and breathtaking mountainscapes. I’ve been very selective in my picture taking, choosing to overlook the nastiness that coexists with the beauty that abounds everywhere. 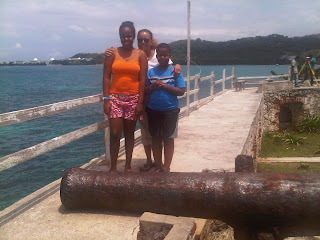 Yesterday we drove through St. Thomas to Long Bay, Portland. 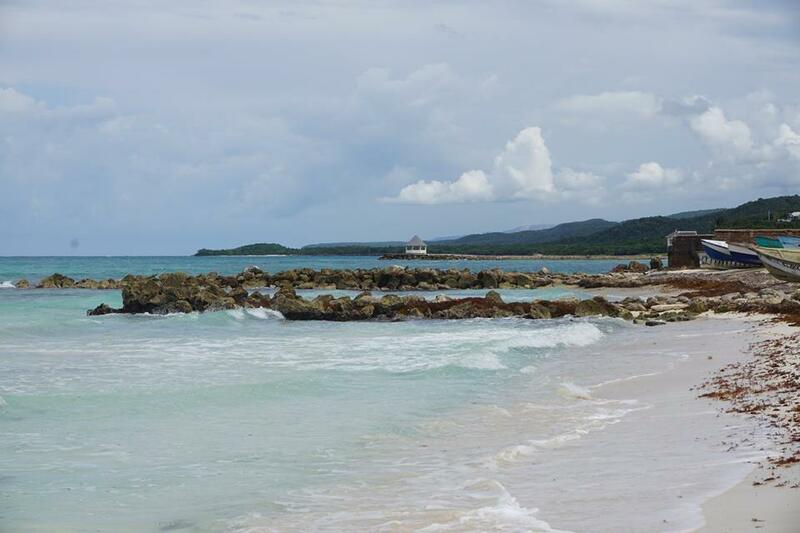 Long Bay is one of the best kept secrets in Jamaica. There it sits, part of the main road through east Portie. There are no huge hotels, no fancy famous restuarants, no “attractions.” But there are always tourists there, walking on the road, sleeping in one of the many BnB’s that you can find on the internet, rolling a spliff, sucking on a cold red strip or swirling a plastic cup with ice, White rum and Ting. Heaven. The surf is rough but the water is blue and the sand is white. And it is all mere steps away from the main road. There are no loud sound systems. And tourist harassment… what’s that in Long Bay? Yesterday we simply turned in off the road, parked under some coconut trees, unpacked our igloo and grill, turned up (just a smidgen…) our music, and enjoyed a few hours in Paradise. Easy. But when we looked to our left and then to our right, there it was: garbage: styrofoam, plastic, latex, glass…ugh. There is a lot of talk about our tourism product, creating visions of more rooms, more high prices attractions, orchestrated, pre-packaged tours, all things shiny and new. But simply cleaning up the garbage would result in a step change in what is our current vibe and what we offer to locals and visitors alike. We visited Jackson Bay, south Clarendon about a year ago. 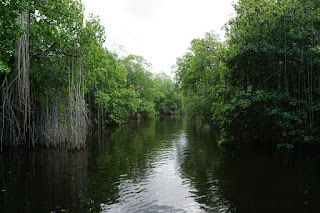 This is way off the beaten track, winding south through wetlands. And there was garbage here. How? Styrofoam and plastic as well as scrap metal in the form of old vehicle chassis and discarded appliances. God. Almost any hillside in upper St. Andrew is a potential dumping site: check out spots in Irish Town and Red Hills for example. When last was garbage collected? So how do we fix it. Huge sigh. One perspective is that leadership in Jamaica has lost the art of implementation and has become preoccupied with speeches and box-ticking. It further posits that those in positions of influence and power have managed to insulate themselves from certain Jamaican realities and therefore expend nothing on fixing those ills besetting others; think private schools, private education, private security, gated communities, vehicles that shuttle them from A to B, high off the ground in air-conditioned insularity. They vacation in exclusive locations, out of the line of sight of road side dump sites, and in all-inclusive, created experiences, totally separate from the speak-easy that exists beside a pile of garbage uncollected in two weeks. Out of sight, most definitely out of mind. Dear Jamaica: we are on the cusp of an environmental crisis of humongous proportions. The garbage in and around us is piling up. I’m unwilling to relinquish my safety, health and peace of mind so easily though. Community Action has to step to the front of the line now. Local leadership: YOUR TIME NOW! I have latched on to grass-roots activism as one of the first steps towards making our present system of governance redundant and shifting the current paradigm towards one that is more proactive and relevant to us. Yes, I know nothing can really substitute for national policies that are framed and resourced and enacted by central government as we seek to move from here to there. But I cannot wait. Jamaica cannot afford to wait. 4. Get the Councillor and MP on board: THEY have to pressure NSWMA to cart the garbage away regularly and reliably. KEEP UP THE PRESSURE! Use social media to shame and congratulate. Because make no mistake, there are those who make every effort to bag and discard their garbage properly, but their best efforts are thwarted by the non collection of their garbage! There’s no reliable schedule of collection and public skips seem to be a thing of the past. I think one clean area, one locality doing the right thing, made visible, will result in spread of ideals and practices. Naive? Maybe. But I’m not ready to give up. And current leadership practices have resulted in Jamaica being buried and drowned in nastiness. Dear Jamaica: We can do this. We must do this. Get Jamaica clean and keep Jamaica clean. 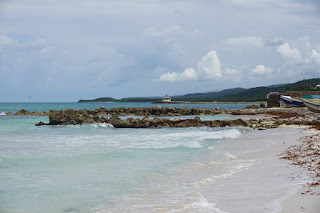 Posted on March 6, 2016 September 5, 2018 Categories Environmental IssuesTags beach, community, garbage, garbage collection, Jamaica, Leadership, mountains, nasty, Portland, touristLeave a comment on Dear Jamaica: We have a garbage problem. About a year ago, I did a post speaking to beach erosion in Negril. Read it here. 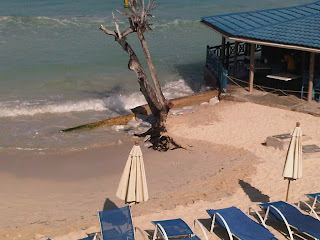 That post had pictures of a severely eroded shoreline right by Negril Tree House Resort, Negril, Jamaica. I took those pics April 2013. 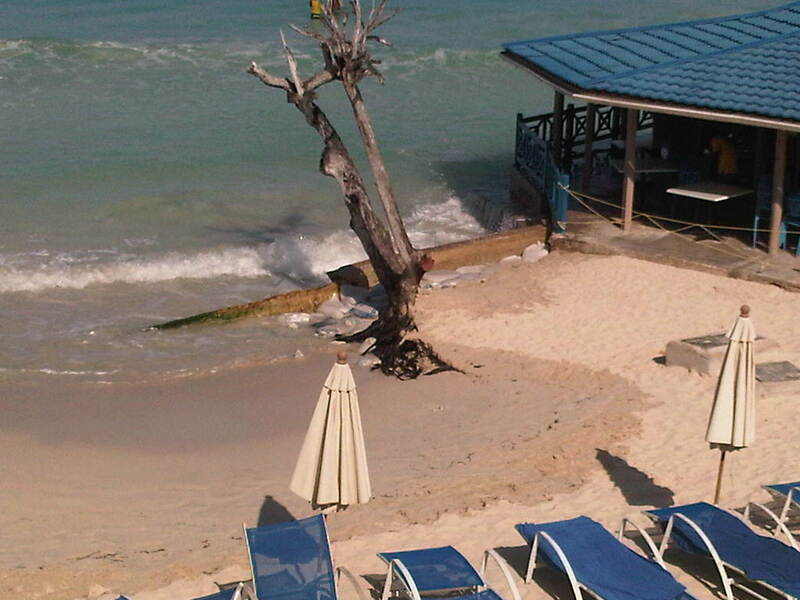 In March 2014 we returned to Negril Tree House resort and I noticed something different. 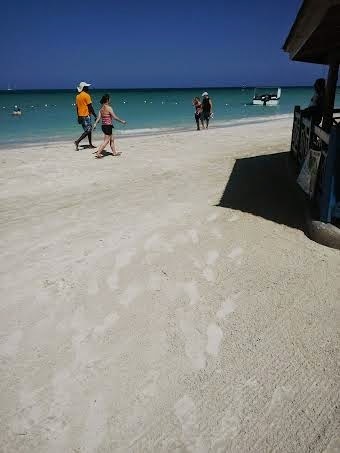 Where water once lapped up against the bar, there was solid at least 25 feet of powdery, white, gorgeous Negril sand. The beach appeared to have magically extended. Naturally, I started to ask questions of the staff. “De sea did tek it weh, and it gi we back now”. “A so it go enuh…give and take”. Ok, then. I really want to understand what is happening here. 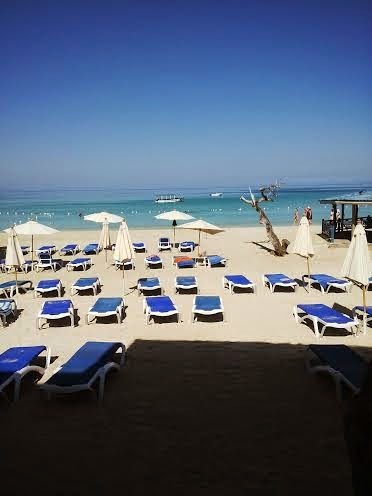 This last week, Negril has been very topical in the news. This commentary in the Sunday Gleaner of May 5 gives a useful summary and perspective I think. 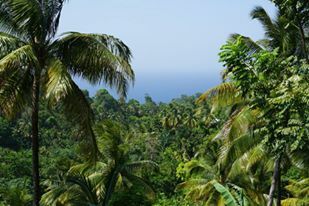 And you know my love-affair with that piece of Paradise that was simply gifted by God to us. We didn’t have to buy it. We didn’t have to make it. All we are asked to do is two things: enjoy it and take care of it. I already enjoy it. Please help me understand what is happening so I can do my part to take care of it. 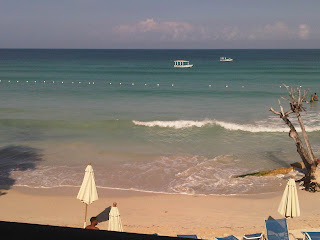 I have been going to Negril at least twice per year since the birth of Miss World. It remains my absolutely favourite place in the world. I lie on the beach and people watch. The water is always calm. It’s blue and gorgeous. It is shallow for yards out. There is never ever any loud music to intrude on my thoughts. All I need is my rum, a glass, and a bucket of ice. Vendors go past offering everything from weed, to fruit, to juices, to pastry to music for sale. But they are never pushy. 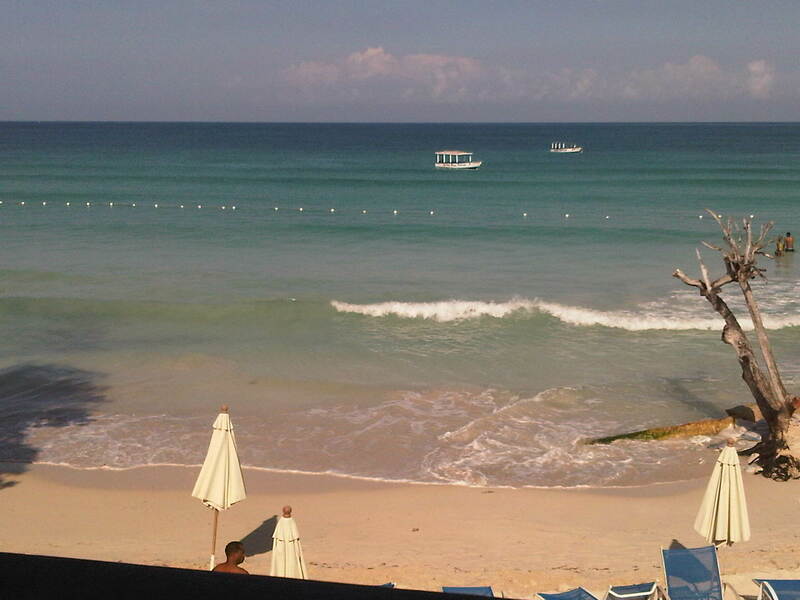 And it’s all part of the magic that is Negril. And then in the late evening, it all comes together in a perfect finale: the Negril Sunset. I dare you to find another to rival it. 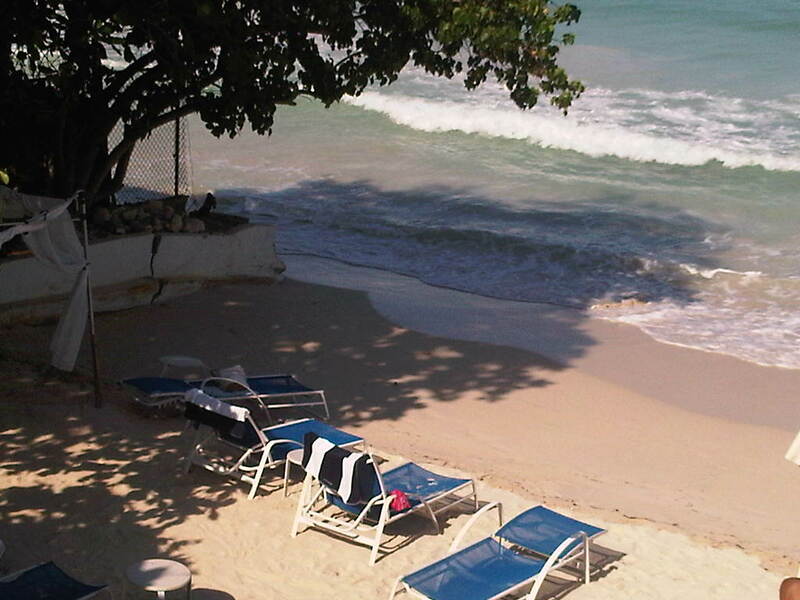 We always, always, always stay at Negril Treehouse. yup, the same property where Stella got her groove back…or at least, where they filmed the pool scene in the movie of the same name. Yes, this is shameless plug for this facility, and no they aren’t paying me for it. It’s owner managed and you feel Gail’s presence everywhere all the time. 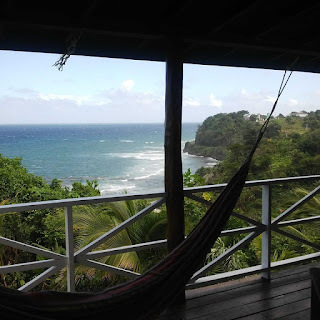 Sure, it’s an older property, but the gardens are beautiful and authentically Jamaican, and the rooms are clean with all the basics: bathroom, hot water, beds, cable TV and AC. And it is right on the 7 mile stretch. 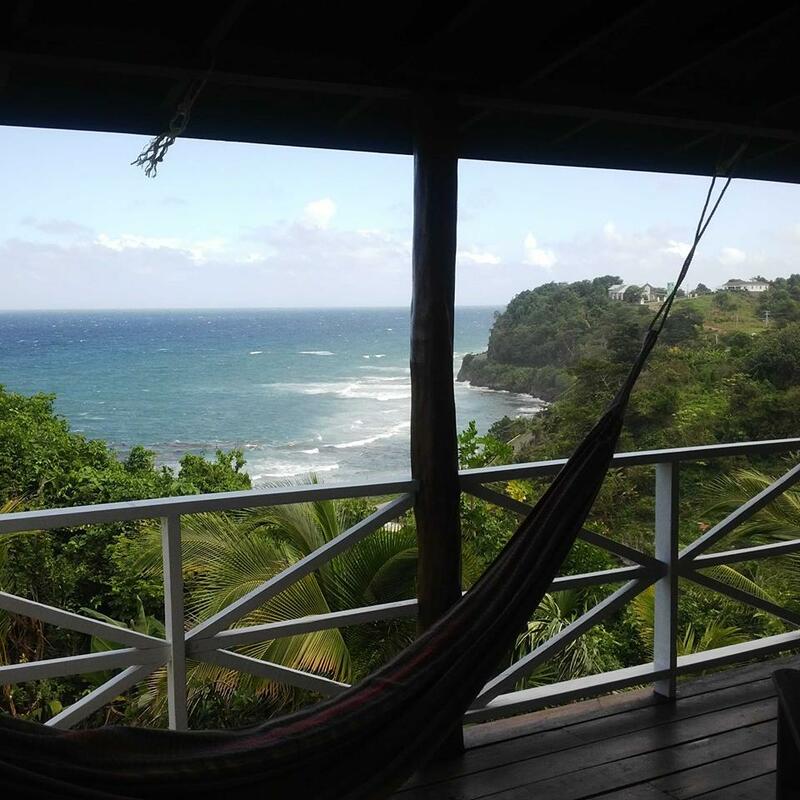 An added bonus is the fact that included in the reasonable rates is a top notch full breakfast inclusive of Jamaican favourites, fresh fruit and awesome coffee all served by friendly, attentive staff. Repeated stays over the years have afforded me the opportunity to observe the receding coast line. 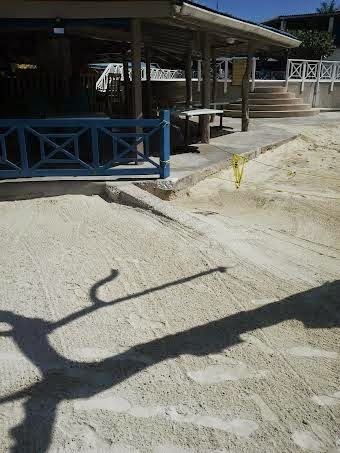 Yes…once upon a time, there was sand between the beach bar and the water line. 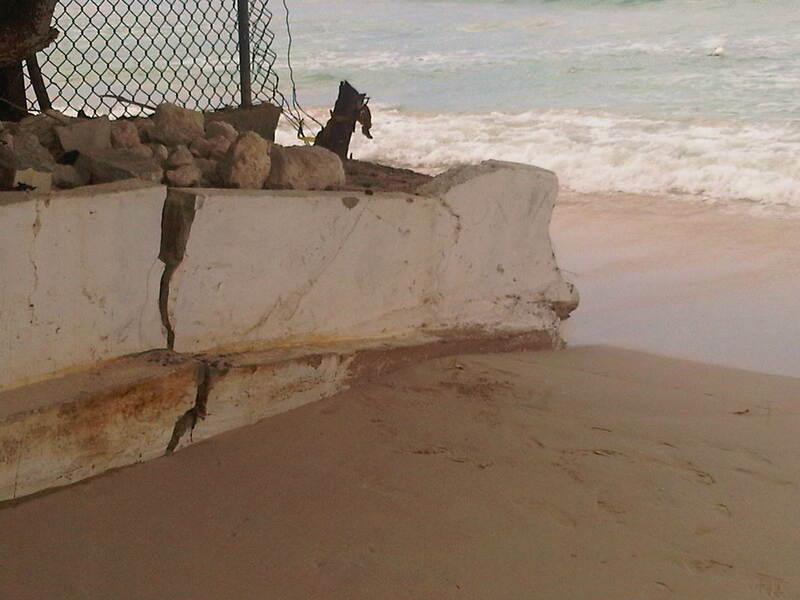 Now the sea laps up quite aggressively against the bar. Sure it’s picturesque sitting in the bar sipping on your rum looking down into the gorgeous sea, knowing what it was before, and extrapolating forward, well, it’s just plain scary. So where do we go from here? Perhaps it’s time for me to get active in conservation efforts for what it’s worth. That 7 mile stretch was given to Jamaica by God. We didn’t have to create it, we didn’t have to buy it. All we are asked to do is to take care of it: don’t dump raw sewerage in the seas, protect the reefs, don’t eat parrot fish (OMG! ), don’t steal sand! …and that’s another story altogether…the sand stealing, I mean. We continue to abuse nature’s gifts to this island: tearing down forests for the rapidly growing charcoal trade (Haiti: here we come! 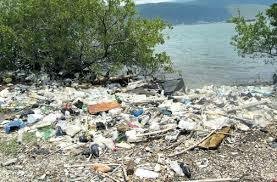 ), creating garbage dumps any and everywhere and clogging our gullies. The same “doan cyah” mentality is evident in how we treat our heritage sites…Port Royal, Three Finger Jack monument in St Thomas, that Columbus site in St. Ann, Lovers Leap and Fort Charlotte to name a few are run down and unimpressive. 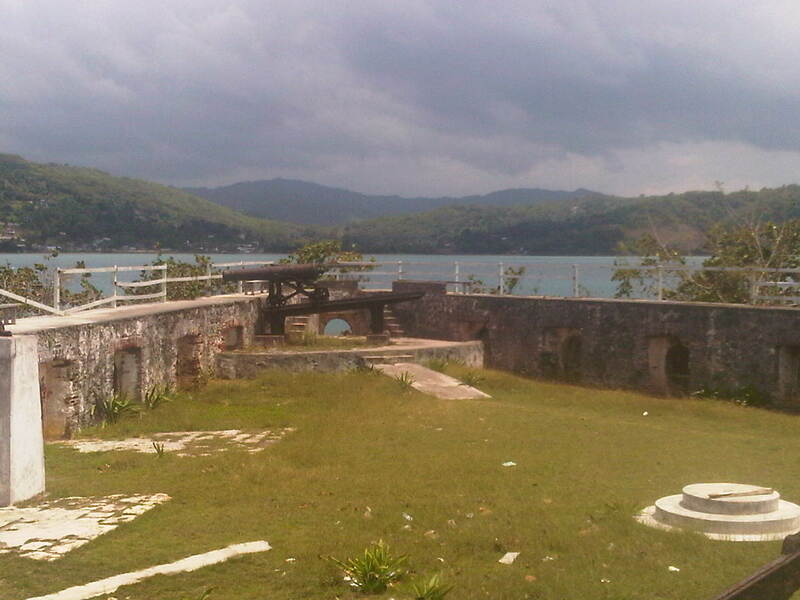 Fort Charlotte in Lucea…a potential moneymaker in ruin! They represent potential money earners for the communities within which they exist and for Jamaica as a whole. I’ve been on a quite a few glossily presented (pricey) tours overseas that lack half the authenticity and wow factor that our own history offers us. To be fair though, I saw adverts last week for private persons to take over the management of specific heritage sites. That’s a win-win approach. It makes me sad and scared at the same time.